But it ALSO says . . .
Out of a little over 1000 verses in Mattityahu (Matthew), 112 of them or around 10% of them are direct quotations and references to verses in TaNaKh (Torah-Nevi’im-Ketuvim: in other words, the Old Testament). How many people build a theology based upon a verse or two in the text without considering “But it also says,”? They may sound and look authoritative and biblically sound when you are introduced to them initially, however, knowing what “it also says” and understanding what “it also means” is the only real defense you have against any of the long list above. In Chapter 5, we find the Jew Yeshua sitting down and teaching the Tanakh to his talmidim (disciples) as a result of seeing the crowds of people. We might be tempted to think this is a private teaching or precursor as it were before He is to address the crowd so that they know what he is going to say and why. We might be tempted to think this is mostly to Greeks, but many of His statements such as “your Father,” “like the pagans,” and “when you fast” indicate that it is mostly, if not all, to Jews. I would hope that you would understand why I point this out. Did these Jews hearing this become“Christians” when they heard this? Did the talmidim (disciples)? Do I need to remind you that Christian was first used some 30 years later in Antioch? I do this so that you can see that Yeshua was a Rabbi (teacher) and Rabbi Yeshua is teaching Judaism – He is a Jew teaching other Jews lessons from the Jewish Torah, the Jewish Nevi’im and the Jewish Ketuvim. By chapter 7, we find conformation that he was also teaching the crowds (“the crowds were amazed”). We confirm he was teaching Jews (“He was not instructing them like “their” Torah-teachers”). This is significant to understand because the Jewish Rabbi Yeshua didn’t teach these things to do away with Judaism, He taught these things to correct the perversions within Judaism! Some of my Jewish brothers may be bristling up right about now – quit bristling! Jeremiah and many others did the same thing! Man perverts God throughout history and needs the correction that comes from the loving Father! Jews need it, Christians need it, Messianics need it. No one is immune. We ALL need it! Ironically, Yeshua came to correct wrong thinking and wrong doing like many of the prophets before Him, however, some false religions don’t understand this concept because they start their religion based on a new book that their “prophet” writes that supersedes and takes the place of the “corrupted” Tanakh. 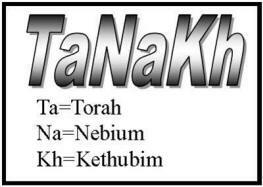 The Tanakh is not corrupted! Let me be clear – any religion that throws away even part of the Tanakh is a false religion – period! I make no excuses for this stance. If your religion teaches that the Tanakh is corrupt and therefore needs to be done away and replaced with your own auto-biographical personal prophecy, then I would say you are not only a false teacher, but you are a narcissistic megalomaniac as well! For some of my Jewish brothers that don’t know what is in the Brit Chadashah (New Covenant), they would say, “Bill, you contradict yourself!” Do I brothers? I understand why you would say this. I understand that some of you are very skeptical about Christianity because some parts of Christianity say the Jews are no longer God’s chosen people. I understand that if you see some in Christianity throw away the Jews, that you would see that as tantamount to throwing away the Tanakh and its promises to the Jewish people. I see it that way too. God’s promises don’t fail! Just know this, all of Christianity doesn’t believe that the Jews are no longer God’s chosen people. Many Christians read the Tanakh and accept its promises from God concerning his covenantal people the Jews without trying to insert themselves into those promises “in place of” the Jews. We are all called by God to love Him, trust Him and obey Him. Who of us can say that we do this in ALL things? The Jewish Rabbi Yeshua was the prophesied Mashiach. You will see some of that in the text below. You will not see someone doing away with Judaism, you will see someone teaching and confirming Judaism. For my Christian brothers that don’t understand Judaism, I hope that you will see it too. I will do more of these on the other books in the Brit Chadashah in the future. 14 Therefore Adonai himself will give you people a sign: the young woman will become pregnant, bear a son and name him ‘Immanu El [God is with us]. 2 But you, Beit-Lechem near Efrat, so small among the clans of Y’hudah, out of you will come forth to me the future ruler of Isra’el, whose origins are far in the past, back in ancient times. “Clear a road through the desert for Adonai! Level a highway in the ‘Aravah for our God! 3 He humbled you, allowing you to become hungry, and then fed you with man, which neither you nor your ancestors had ever known, to make you understand that a person does not live on food alone but on everything that comes from the mouth of Adonai. 11 for he will order his angels to care for you and guard you wherever you go. 12 They will carry you in their hands, so that you won’t trip on a stone. “But it also says, ‘Do not put Adonai your God to the test.’” Deuteronomy 6:16 (CJB) 16 Do not put Adonai your God to the test, as you tested him at Massah [testing]. 1 But there will be no more gloom for those who are now in anguish. In the past the land of Z’vulun and the land of Naftali were regarded lightly; but in the future he will honor the way to the lake, beyond the Yarden, Galil-of-the-Goyim. 2 The people living in darkness have seen a great light; upon those living in the land that lies in the shadow of death, light has dawned. 11 But the meek will inherit the land and delight themselves in abundant peace. 13 ‏ו‎ 13 “Do not murder. 14 ‏ז‎ (14) “Do not commit adultery. 18 ‏ז‎ (18) “‘Do not commit adultery. Matthew 5:31 (CJB) 31 “It was said, ‘Whoever divorces his wife must give her a get.’ Deuteronomy 24:1 (CJB) 1 “Suppose a man marries a woman and consummates the marriage but later finds her displeasing, because he has found her offensive in some respect. He writes her a divorce document, gives it to her and sends her away from his house. 12 Do not swear by my name falsely, which would be profaning the name of your God; I am Adonai. 2 when a man makes a vow to Adonai or formally obligates himself by swearing an oath, he is not to break his word but is to do everything he said he would do. 21 “When you make a vow to Adonai your God, you are not to delay in fulfilling it, for Adonai your God will certainly demand it of you, and your failure to do so will be your sin. 1 “Heaven is my throne,” says Adonai, “and the earth is my footstool. What kind of house could you build for me? What sort of place could you devise for my rest? 2 beautiful in its elevation, the joy of all the earth, Mount Tziyon, in the far north, the city of the great king. 20 break for break, eye for eye, tooth for tooth — whatever injury he has caused the other person is to be rendered to him in return. 18 Don’t take vengeance on or bear a grudge against any of your people; rather, love your neighbor as yourself; I am Adonai. 6 For what I desire is mercy, not sacrifices, knowledge of God more than burnt offerings. 6 For a son insults his father, a daughter rises against her mother, daughter-in-law against her mother-in-law — a person’s enemies are the members of his own household. 19 Your dead will live, my corpse will rise; awake and sing, you who dwell in the dust; for your dew is like the morning dew, and the earth will bring the ghosts to life. 1 “Look! I am sending my messenger to clear the way before me; and the Lord, whom you seek, will suddenly come to his temple. Yes, the messenger of the covenant, in whom you take such delight — look! Here he comes,” says Adonai-Tzva’ot. 13 You thought to yourself, ‘I will scale the heavens, I will raise my throne above God’s stars. I will sit on the Mount of Assembly far away in the north. 15 “Instead you are brought down to Sh’ol, to the uttermost depths of the pit. 17 Adonai prepared a huge fish to swallow Yonah; and Yonah was in the belly of the fish for three days and three nights. 12 ‏ה‎ 12 “Honor your father and mother, so that you may live long in the land which Adonai your God is giving you. will be established only if there are two or three witnesses testifying against him. 27 So God created humankind in his own image; in the image of God he created him: male and female he created them. 24 This is why a man is to leave his father and mother and stick with his wife, and they are to be one flesh. Matthew 19:7 (CJB) 7 They said to him, “Then why did Moshe give the commandment that a man should hand his wife a getand divorce her?” Deuteronomy 24:1 (CJB) 1 “Suppose a man marries a woman and consummates the marriage but later finds her displeasing, because he has found her offensive in some respect. He writes her a divorce document, gives it to her and sends her away from his house. Deuteronomy 24:3 (CJB) 3 but the second husband dislikes her and writes her a get, gives it to her and sends her away from his house; or the second husband whom she married dies. 15 ‏ח‎ (15) “Do not steal. 16 ‏ט‎ (16) “Do not give false evidence against your neighbor. 19 ‏ח‎ (19) “‘Do not steal. 20 ‏ט‎ (20) “‘Do not give false evidence against your neighbor. 9 Rejoice with all your heart, daughter of Tziyon! Shout out loud, daughter of Yerushalayim! Look! Your king is coming to you. He is righteous, and he is victorious. Yet he is humble — he’s riding on a donkey, yes, on a lowly donkey’s colt. 25 Please, Adonai! Save us! Please, Adonai! Rescue us! 26 Blessed is he who comes in the name of Adonai. We bless you from the house of Adonai. 11 Do you regard this house, which bears my name, as a cave for bandits? I can see for myself what’s going on,” says Adonai. 2 From the mouths of babies and infants at the breast you established strength because of your foes, in order that you might silence the enemy and the avenger. 22 The very rock that the builders rejected has become the cornerstone! 23 This has come from Adonai, and in our eyes it is amazing. 5 “If brothers live together, and one of them dies childless, his widow is not to marry someone unrelated to him; her husband’s brother is to go to her and perform the duty of a brother-in-law by marrying her. 6 The first child she bears will succeed to the name of his dead brother, so that his name will not be eliminated from Isra’el. 6 I am the God of your father,” he continued, “the God of Avraham, the God of Yitz’chak and the God of Ya‘akov.” Moshe covered his face, because he was afraid to look at God. 26 Blessed is he who comes in the name of Adonai. We bless you from the house of Adonai. 2 a day of darkness and gloom, a day of clouds and thick fog; a great and mighty horde is spreading like blackness over the mountains. There has never been anything like it, nor will there ever be again, not even after the years of many generations. the sun will grow dark, the moon will stop shining, the stars will fall from the sky, and the powers in heaven will be shaken. 10 For the stars, the constellations in the sky, will no longer give their light; the sun will be dark when it rises; and the moon will no longer shine. 30 “Then the sign of the Son of Man will appear in the sky, all the tribes of the Land will mourn, and they will see the Son of Man coming on the clouds of heaven with tremendous power and glory. Zechariah 12:10-14 (CJB) 10 and I will pour out on the house of David and on those living in Yerushalayim a spirit of grace and prayer; and they will look to me, whom they pierced.” They will mourn for him as one mourns for an only son; they will be in bitterness on his behalf like the bitterness for a firstborn son. 11 When that day comes, there will be great mourning in Yerushalayim, mourning like that for Hadad-Rimmon in the Megiddo Valley. 12 Then the land will mourn, each family by itself — the family of the house of David by itself, and their wives by themselves; the family of the house of Natan by itself, and their wives by themselves; 13 the family of the house of Levi by itself, and their wives by themselves; the family of the Shim‘i by itself, and their wives by themselves; 14 all the remaining families, each by itself, and their wives by themselves. 13 On that day a great shofar will sound. Those lost in the land of Ashur will come, also those scattered through the land of Egypt; and they will worship Adonai on the holy mountain in Yerushalayim. 12 I said to them, “If it seems good to you, give me my wages; if not, don’t.” So they weighed out my wages, thirty silver [shekels, that is, twelve ounces]. 7 “Awake, sword, against my shepherd, against the man who is close to me,” says Adonai-Tzva’ot. “Strike the shepherd, and the sheep will be scattered; I will turn my hand against the young ones. 13 “I kept watching the night visions, when I saw, coming with the clouds of heaven, someone like a son of man. He approached the Ancient One and was led into his presence. 9 Then what Yirmeyahu the prophet spoke was fulfilled, “And they took the thirty silver coins, which was the price the people of Isra’el had agreed to pay for him, 10 and used them to buy the potter’s field, just as the Lord directed me.” Zechariah 11:12-13 (CJB) 12 I said to them, “If it seems good to you, give me my wages; if not, don’t.” So they weighed out my wages, thirty silver [shekels, that is, twelve ounces]. 13 Concerning that “princely sum” at which they valued me, Adonai said, “Throw it into the treasury!” So I took the thirty silver [shekels] and threw them into the treasury in the house of Adonai. 1 My God! My God! Why have you abandoned me? Why so far from helping me, so far from my anguished cries? 21 They put poison in my food; in my thirst, they gave me vinegar to drink. This entry was posted in Verses and tagged Adonai, B'midvar, B'resheet, Brit Chadashah, But it also says, Chagi, Christian, counter-missionary, Daniel, Deuteronomy, Exodus, Ezekiel, genesis, God, Haggai, Hosea, Hoshea, Isaiah, Jeremiah, Jesus, jew, jewish, Joel, Jonah, Judaism, Ketuvim, Leviticus, Malachi, Malakhi, mashiach, Matthew, Mattityahu, messiah, Messianic, Micah, Mikhayah, Nevi'im, New Covenant, Numbers, Old Testament, Psalm, rabbi, Shemot, T'hilim, Tanakh, torah, V'yakra, Y'chizki'el, Yesha'yah, Yeshua, Yirmi'yah, Yo'el, Yonah, Zachar'yah, Zechariah. Bookmark the permalink. 3 Responses to But it ALSO says . . .